In a guest post for the Trust’s blog, FCA CEO Andrew Bailey reflects on his recent visit to National Debtline and Business Debtline in Birmingham, and expands on the regulator’s current call for input on high cost credit. As CEO of the UK’s financial regulator, the Financial Conduct Authority, I am very conscious that the decisions we make have far reaching implications and consequences for real people. I believe that it is important for me, and my colleagues, to understand what the impact of our work is on the people who use financial services – which is pretty much everyone in the UK.  I recently spent an afternoon meeting staff at the Money Advice Trust. I listened to calls on National Debtline and Business Debtline and met with a number of front line advisers to understand the issues that they are currently dealing with. I would make a number of observations about my visit. I was struck by the dedication and focus that everyone working for Money Advice Trust brought to their work. There was a feeling from everyone I met that they were making a real difference. I listened in to several calls, each unique, and was extremely impressed by the breadth and depth of knowledge that advisers needed in order to deal with the calls. 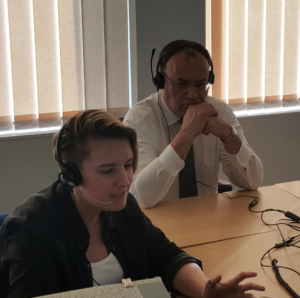 I spent some time discussing debt issues with a number of the advisers after listening in to calls and gained valuable insights into the types of cases that they dealt with on a daily basis. A key insight for me was that the advisers gave me their views on how the types of calls they receive, and the trends that they see, have changed since we introduced the payday cap in 2014. They have seen an increase in people calling because they cannot pay their priority debts – council tax, rent arrears etc – and a decline in people citing payday lending as a cause of their debt problems. Since the introduction of the payday cap, we have seen arrears rates fall by a quarter, 800,000 fewer people taking out payday loans each year and late payment fees have decreased from 16% to 8%. There has also been a 20% drop in loan approval rates (from the start of 2014 to the middle of 2015) and a drop in lending from £409m in the first half of 2014 to £110m in the first half 2015. These conversations are important because they directly feed into the work that we are doing at the Financial Conduct Authority on consumer credit. We have recently launched a review into the high cost credit sector. Since taking over regulation of consumer credit in April 2014, we have focused on products that we believe pose the highest risks to consumers. High-cost credit, which includes payday loans, home-collected credit (doorstep lending), catalogue credit, rent-to-own on household items, pawn-broking, guarantor and logbook loans, is a key area of focus for us. Other credit products – such as motor finance, credit cards and overdrafts – may be high-cost, particularly for less creditworthy customers or depending on how they are used. For example, overdrafts and credit cards may be high cost if people go over their credit limit or only pay the minimum payments. We want to hear from you on your experiences, either as a consumer of these products, or working with people that have taken out these products so that we can understand the whole high cost credit landscape. We want to have a full picture of how these are used, whether they cause detriment and, if so, to which consumers. This will help us decide whether we need to make any additional policy interventions to ensure consumers, particularly vulnerable consumers, are protected. Please get in touch and let me have your views. The FCA’s call for input on high cost credit can be found here and you can watch the video from Andrew Bailey on high cost credit below.